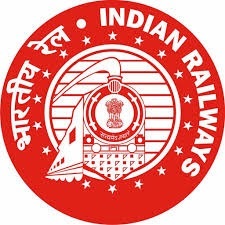 Southern Central Railway, Railway Recruitment Cell (RRC), Secunderabad has published a Advertisement for below mentioned Posts 2015. Check below for more details. Pass in 1st year of B. Sc. (Physics) or Pass in 10+2 stage in Higher Secondary in Science i.e. Math or Physics or its equivalent. Matriculation Plus ITI Plus Act Apprenticeship in Electrician/Electrical Fitter/Wireman/Electronics/ Information Technology/TV & Radio/Instrumentation/ Computer/Computer Networking/ Data Networking OR 10+2 with Physics and Maths OR Three (03) year Diploma in Engineering in Electrical/ Electronics/Microprocessor/ TV Engineering/ Fiber Optical Communication/Telecommunication/Communication/ Sound & TV Engineering/ Industrial Control/ Electronics Instrumentation/ Industrial Electronics/Applied Electronics/Digital Electronics/ Power Electronics/information science/Information Technology/Computer Application/Computer Engineering/ Computer Science/Computer Technology. Address to sent Applications : Railway Recruitment Cell 1st floor, ‘C’ Block, Railnilayam, Secunderabad – 500071, Telangana.